New hardwood floors are in our near future which has me thinking about rugs. I'm going to need quite a few area rugs soon, which also means I'm going to need just as many rug pads too. This is the rug in the foyer and it's always out of whack, showing the ugly non-slip pad underneath. The current pad doesn't grip well and with more rugs in my future, I don't want a house full of this situation. If you've been with me for awhile, then you know my history with smelly rugs. I have a very strong sense of smell and buying rugs and rug pads makes me nervous because so many have a chemical or rubber odor that I can't live with. However, I'm happy to say that I've found an answer. Which is a relief, because really, who wants to spend a lot of time on rug pads? Not me. 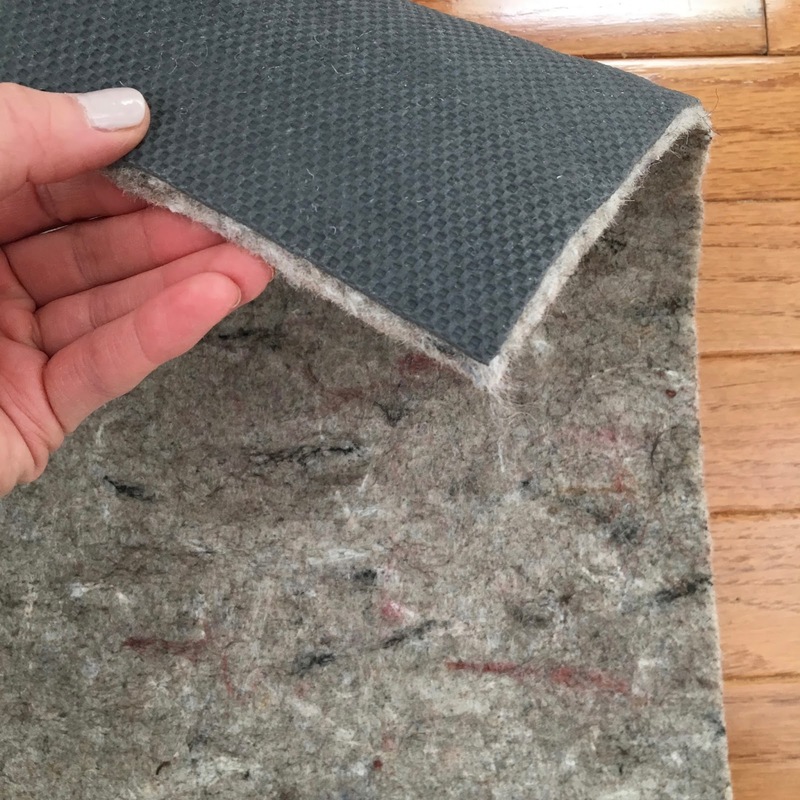 I tried a new company, RugPadUSA, that promised a rug pad without a smell. They use ethically sourced materials - no chemicals, adhesives, or bonding agents. The pads are made in the USA, can be trimmed to your exact measurements, ship for free, and the customer service team can help advise which rug pad that's perfect for your needs. Since I've switched to this rug pad, I haven't had to fix my rug once and there's no smell. Win-win! While I'm still on the hunt for area rugs, I know exactly where I'll be ordering the pads from. RugPadUSA is offering a 5% discount on top of their current sale with the code charisa123 for today only! I encourage everyone to get a grip and take advantage of this discount! *I was given this product for free, but all opinions are my own.